AzhwAr says that it is not that emperumAn merely removes the enemies of his followers. He says that the reason for emperumAn, who is having paramapadham as his residence, to dwell in various dhivyadhESams (divine abodes) is only for the sake of his followers. AzhwAr reveals the subtle meaning in this pAsuram that the supreme being, emperumAn, desires AzhwAr’s divine mind over his dhivyadhESams. iLam kumaran than viNNagar – the divine abode thiruviNNagaram where emperumAn, who is forever young, has taken residence. paNdellAm kOyil pOl – it appears that these were emperumAn’s temples before he recognised AzhwAr. It is implicit here that after emperumAn accepted him, his heart has become emperumAn’s temple. paNdellAm kOyil pOl – before emperumAn accepted AzhwAr (as his servitor) these abodes were his temples. AzhwAr says that now, after getting rid of AzhwAr’s sins, emperumAn does not know of anything else. He implies that emperumAn has left SrIvaikuNtam, thiruppARkadal and other dhivyadhESams and entered AzhwAr’s divine mind. Or we can construe the meaning for this as – for emperumAn who earlier used to reside in abodes such as vEngadam, pARkadal, vaikundham, kadigai, viNNagar etc, AzhwAr’s heart has now become the temple. 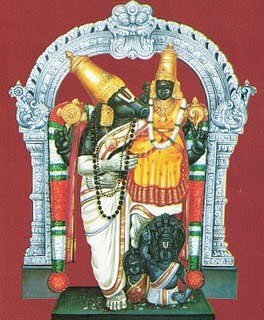 Hasn’t nammAzhwAr mercifully stated in thiruvAimozhi 10-7-8 “thirumAL vaikundhamE thaN thiruvEngadamE” by which he has brought in parity for thiruvEngadam [thirumalai] with paramapadham and thiruppARkadal! We can also construe the meaning for this as – for emperumAn who was residing in the beautiful sweet kadigai hills and viNNagar, abodes such as vEngadam, pARkadal, vaikundham etc were probably temples earlier. We will move on to pAsuram 62 next. This entry was posted in iyaRpA, mUnRAm thiruvandhAdhi on April 30, 2018 by T N Krishnan. peRRam piNai marudham …. – this pAsuram comes under the category of niRai aNi in thamizh grammar. In other words, each of the words in the first line should be connected with the corresponding word in the second line. Thus, the sequence will be: peRRam – muRRak kAththu; piNai marudham – Udu pOy; pEy mulai – uNdu; mAch chagadam – udhaiththu. piNai marudham – two arjuna trees which had intertwined without any gap between them. pEy mulai – the bosom of demonic woman, pUthanA. mAchchagadam – the fearsome wheel. viLanganikkuk koNdu eRindhAn – he threw (the calf) at a wood apple fruit. By using one (calf) [demon] which came to kill him, he killed the other (wood apple). veRRippaNilam vAy vaiththu ugandhAn – who did all these? It is he who blew the victorious conch pAnchajanyam keeping in his mouth and felt happy, after killing the gang of demons, that he had annihilated the enemies of his followers. Since he had taken a vow that he will not don any weapon, he killed his followers’ enemies by the mere trumpeting sound of conch. Instead of killing each enemy separately with the bows of arjuna, he killed all the enemies simultaneously with the sound of conch and carried out benefit for his followers. paNdu – before he reached the stage of adulthood, he killed the inimical demons with his hands. 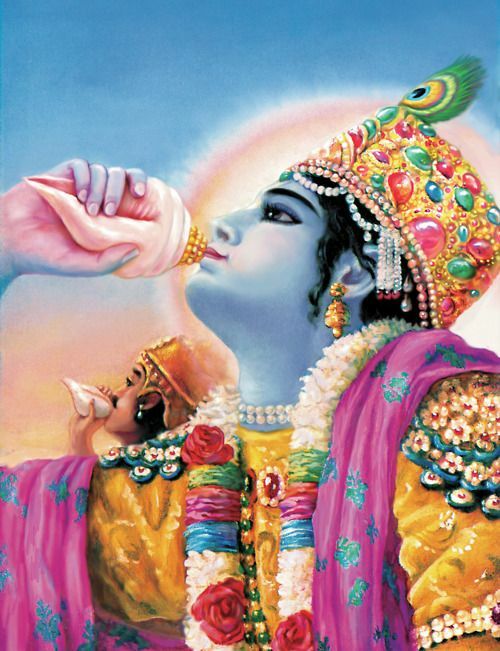 After becoming an adult, he killed the enemies with the sound of SrI pAnchajanya (divine conch). We will take up the 61st pAsuram next. This entry was posted in iyaRpA, mUnRAm thiruvandhAdhi on April 29, 2018 by T N Krishnan. In the 57th pAsuram, AzhwAr had told his divine mind “kariyAn kazhalE theruL” (being devoted to the divine feet of emperumAn). In this pAsuram, he approaches those divine feet and experiences them. vAzhum vagai aRindhEn – I learnt the way to sustain myself – by attaining emperumAn and holding on to him. I learnt that this is the wealth which is meant for AthmA (souls). In earlier times, as mentioned in SrI bhagavath gIthA 2-62, and 2.63 “dhyAyathO vishayAn pumsa … budhdhinASAth praNaSyathi” (by thinking of worldly matters, the mind was having attachment towards them…. he is lost since he loses his intelligence), I had learnt the way to get lost by involving with worldly matters and getting destroyed. nammAzhwAr too has mercifully stated in thiruvAimozhi 6-9-9 “pala nI kAttip paduppAyO” (are you going to destroy me by showing me all the worldly matters?). Only knowledge about emperumAn and lack of that knowledge are the reasons for attaining salvation (from samsAram) and for getting destroyed, respectively. Since sIthAppirAtti had instructed rAvaNa, as in SrI rAmAyaNam sundhara kANdam 21-20 “yadhi jIvithumichchasi thEna maithri bhavathu thE” (if you desire to live, make friends with SrI rAma), if one wishes to sustain oneself, he/she should attain emperumAn. mai pOl nedu varai vAyth thAzhum aruvipOl thAr kidappach chUzhum – even if emperumAn does not grant us salvation but destroys us, he has such beauty that we cannot shun him. Just as streams roll down the sides of a huge black mountain, garlands from his shoulders are surrounding his divine chest. Just like two streams falling rapidly from mEru mountain (a celestial mountain) towards earth, the garlands come down from the shoulders towards the divine feet. Since the mountain is not sufficient to describe the divine chest of emperumAn, AzhwAr is adding a simile to it by saying mountain which is like a black pigment. 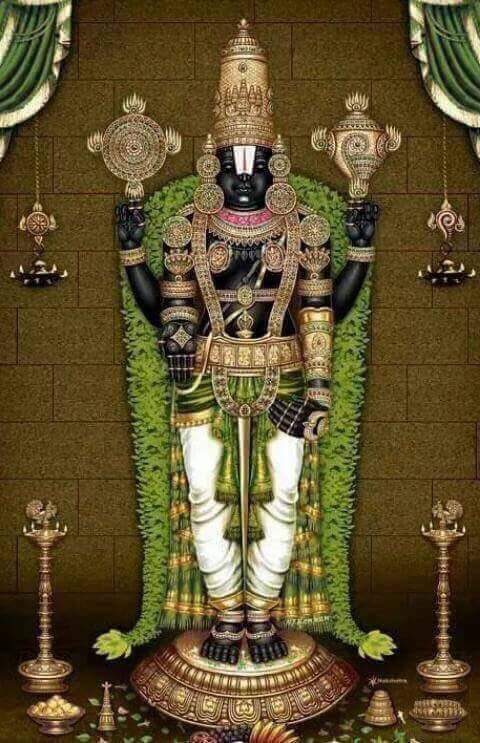 sUzhum thirumAmaNivaNNan – we can combine the last word of the previous verse (sUzhum) with the first word of the next verse (thirumAmaNivaNNan) and say that pirAtti will surround emperumAn, unable to let go of this beautiful divine form of emperumAn, as mentioned in thiruvAimozhi 6-10-10 “agalagillEn iRaiyum enRu” (not wishing to leave him even for a moment) and dwell permanently on that divine chest. thirumAmaNivaNNan – emperumAn has the complexion of a lustrous, priceless gem. 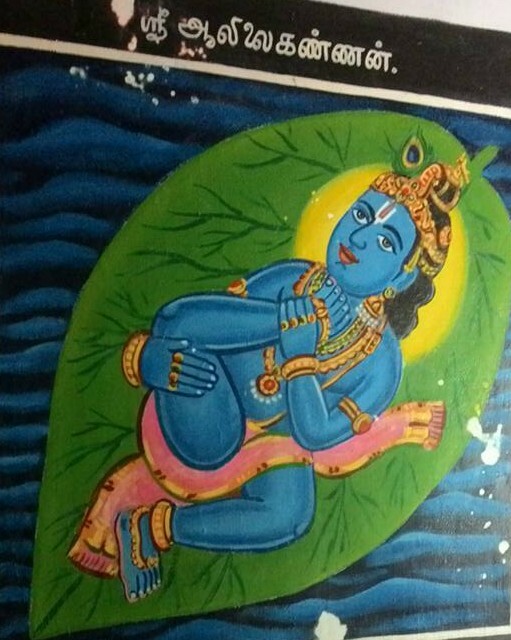 Alternatively, this could mean that he has on his divine chest thiru (pirAtti) and kausthuba garland (blue coloured pendant on a chain, resting on his divine chest, representing all the jIvAthmAs). 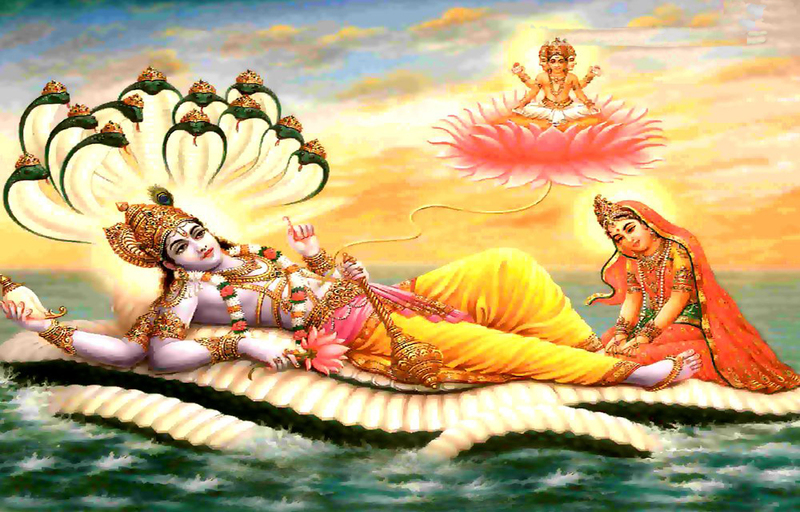 He has periya pirAtti and a divine form that removes the fatigue of those who see him. sengaNmAl – emperumAn with lotus eyes. These eyes will give out the fact that he is the supreme being. We can construe the reddish colour of the eyes to have come from the fact that he is the consort of SrI mahAlakshmi. This implies that the cause for happiness is also an ordained one. engaL perumAn – emperumAn and pirAtti together – the pair – is a very sweet matter for AzhwAr. emperumAn who is with periya pirAtti is asmath swAmy (my lord). adi sErappeRRu – I learnt the way to approach and be with such emperumAn. I learnt the way to attain the divine feet of emperumAn, who is sweet, great and ordained for me, and to sustain myself. We will take up the 60th pAsuram next. This entry was posted in iyaRpA, mUnRAm thiruvandhAdhi on April 28, 2018 by T N Krishnan. When told that we should attain emperumAn who has such greatness, we told AzhwAr “we can hold on to him only if we see him”. AzhwAr responds saying that he has taken residence in thirumalai so that we can see him. theLindha silAdhalaththin mEl irundha mandhi – female monkey sitting on a black rock which appeared pure like a crystal. These monkeys are much like SrI rAma and sIthAppirAtti who were residing in the divine chithrakUtam during their time of dwelling in forest. silAdhalaththin mEl irundha – this implies that the female monkey was sitting on the black rock already. irundha – the female monkey was sitting on the rock, manifesting its greatness. This monkey is sitting on the rock just like sIthAppirAtti was sitting on a rock on the banks of river gOdhAvari. 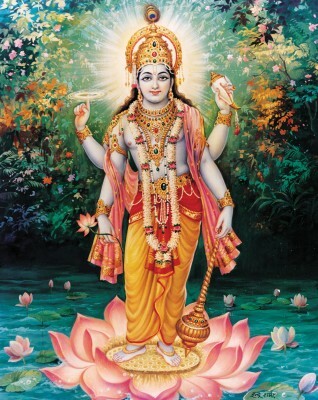 Just as SrI rAma told lakshmaNa as in SrI rAmAyaNam AraNya kANdam 63-12 “asminmayA sArdhamuthAraSeelA SilAthalE pUrvamupOpavishtA, kAnthasmithA lakshmaNa jAthahAsA thvAmAha sIthA bahuvAkyajAtham” (Oh lakshmaNa! sIthA, who has a deep nature and a beautiful smile, was sitting close to me on this rock earlier and said many words to you with a banter), this monkey is also doing the same. aLindha kaduvanaiyE nOkki – looking at the male monkey, which was very affectionate towards the female monkey and expecting the next command from the female monkey. aLindha – just like servitors who look for signs from knitting of the brow. This implies an expectation from the male monkey as to when the female monkey is going to order it to carry out a specific task. aLindha kaduvan – don’t love quarrels take place due to excessive affection! kaduvanaiyE nOkki – when there is a love quarrel, without the need for a mediator, the female monkey directly talks to the male. When there was a love quarrel between SrI rAma and sIthA, lakshmaNa was present to be a mediator but here there is none like that. nOkki – by its mere look, the female monkey gives out everything that it wanted to covey. viLangiya veN madhiyam thA ennum – the female monkey wants the male to bring the brightly shining moon. Just as asking for a mirror to see its face, it is asking for the moon. Since thirumalai hills are taller than the lunar region, the other side of moon is visible to the female monkey. Since there is no fault on the other side of moon, it is asking the male monkey to give the faultless moon. thA ennum – since the female monkey is sitting on top of the rock and the male monkey below, it is stretching its hand to offer it the moon. mEl oru nAL maN madhiyil koNdu ugandhAn vAzhvu – this is the place which is considered as his wealth by emperumAn, who by his cleverness, lowered himself in the presence of mahAbali and obtained the earth by asking for alms from him, and became very delighted. maN madhiyil koNdu ugnadhAn – by having the knowledge that (mahAbali) will give if asked for as alms, emperumAn asked for as alms. ugandhAn – he was delighted as if he had got something which was not his. vAzhvu – the place of residence. It can also be considered as his wealth. maN madhiyil koNdu – it appears that when the monkey asked for moon, AzhwAr was reminded of vAmana asking for three steps of land! We will consider the 59th pAsuram next. This entry was posted in iyaRpA, mUnRAm thiruvandhAdhi on April 27, 2018 by T N Krishnan. AzhwAr says that it will be great to meditate on emperumAn who has such greatness. He tells his heart to attain emperumAn, who has garuda as his flag and, who is the consort of SrI mahAlakshmi. He says that instead of being aloof saying that it is not possible, if we attain him, that itself will give eminence to everyone. theLi kaNdAy – (Oh heart!) be clear on this. polindhu iruNda kAr vAnil minnE pOl thOnRi – golden hued periya pirAtti (SrI mahAlakshmi) has taken residence in the dark complexioned divine form of emperumAn just like a flash of lightning dazzles across the dark clouds during monsoon when the sky is dark. malindhu thiru irundha mArvan – emperumAn has his divine chest on which periya pirAtti has taken residence with her greatness showing clearly. Alternatively, malindhu thiru irundha can be construed as periya pirAtti greatly desiring the divine chest of emperumAn and taking residence in it. 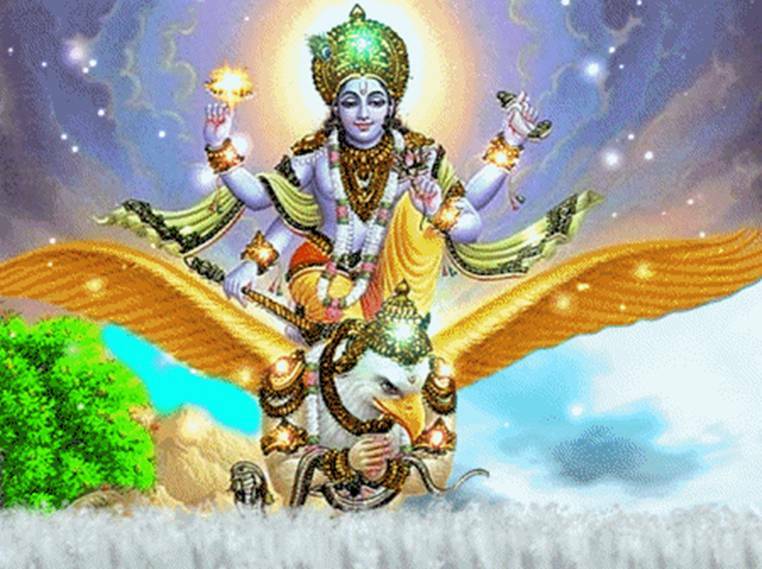 polindha garudan – we can consider this as garuda who is fully complete. emperumAn sitting on garuda is like a dark coloured peak sitting over the golden colured great mEru mountain. kariyAn – it is implied by this that the two of them (emperumAn and garuda) ae having contrasting hues. theruL than – therul means knowledge; being meditated upon. We can consider this as referring to bhakthi (devotion) which is the matured state of gyAna (knowledge). mEl kaNdAy – think higher than these. In other words, think that all the rest are on a lower level and bhakthi is at a higher level. Isn’t this the greatness which is apt for the servitor’s nature! theLi – think of this as being truly stated, inside the heart, instead of stating something superficially. garudan Mel koNda kariyAn thiruvirundha mArvan – pirAtti is like lightning which manifests both emperumAn and garuda. We will take up the 58th pAsuram next. This entry was posted in iyaRpA, mUnRAm thiruvandhAdhi, Other on April 26, 2018 by T N Krishnan. AzhwAr says that one can enjoy this beauty of emperumAn but cannot estimate the beauty and say that it is like this. One can engage in enjoying the benefit of experiencing emperumAn’s beauty but it is not possible to describe that beauty. karidhu – will it be black? niRam veLidhu seydhu pasidhu karidhu enRu iRai uruvam yAm aRiyOm eNNil – if we try to analyse whether emperumAn’s complexion is whitish or reddish or greenish or blackish, we cannot know that, even a little bit. yAm aRiyOm eNNil – we can only speak with devotion but cannot think with our mind. It is only this much. That we cannot think of, is not due to any shortage of our knowledge but because of his greatness. niRaivudaiya nAmangai thAnum – even sarasvathi, who is apt to be attained by people of the world who try to speak about emperumAn and one who has the greatness herself to speak about emperumAn; sarasvathi dhEvi who has the quality to speak without any confusion and one who can speak in an unbiased way. nalam pugazha vallaLE – is she capable of speaking completely about the auspicious qualities of emperumAn? Is she capable of speaking appropriate to emperumAn’s greatness ? What is the reason for her being unable to praise emperumAn? pUmangai kELvanpolivu – is it possible for sarasvathi to speak fully about the greatness of emperumAn who has as his servitor thirumagaL (SrI mahAlakshmi) who in turn has sarasvathi as her servitor! Is it possible for some people to speak about emperumAn’s greatness? Is it possible to speak in a place where emperumAn and pirAtti (SrI mahAlakshmi) are together? Has it not been mentioned in SrI rAmAyaNam AraNya kANdam 37-18 “apramEyam hi thath thEja: yasya sA janakAthmajA” (is it possible to estimate the radiance of SrI rAma with whom sIthA, the daughter of janaka, is together)! That it is not possible to estimate the greatness of emperumAn has been mercifully mentioned by nammAzhwAr too in thiruvAimozhi 1-1-1 “uyarvaRa uyarnalam udaiyavan” (one who has great auspicious qualities which cannot be surpassed by anyone). iRai uruvam yAM aRiyOm eNNil – this the greatness of the divine form of emperumAn (implies that it is impossible to speak about his auspicious qualities). We will take up the 57th pAsuram next. This entry was posted in iyaRpA, mUnRAm thiruvandhAdhi on April 25, 2018 by T N Krishnan. AzhwAr enjoys the beauty of emperumAn who has affection like this for bhUmippirAtti. pAN odunga vaNdu aRaiyum pangayamE kAttum – lotus flower, in which beetles remain and sing so sweetly that all the other songs which had earlier been sung and called as songs would be obliterated, would show out. 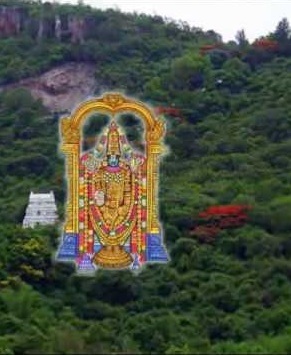 periya varai mArvil – emperumAn’s divine form would appear like mEru mountain (a celestial mountain which is very huge). With garlands decorating his divine chest, the divine chest would appear like a mountain which cannot be estimated [for its expansiveness]. pErAram pUNdu – the greatness of the garland is such that it has to be folded twice over on that divine chest. kariya mugil idai min poLa – an example is given to describe how the garland appeared on his black divine chest. Just as a flash of lightning would appear across dark clouds, the golden garland appeared across the black divine form of emperumAn. thiriyungAl – when emperumAn was roaming here and there, donning the huge garland on his divine chest. Or, it can be construed as: when thinking of this beauty. pAN odunga vaNdu aRaiyum pangayamE – the beetles will sing so sweetly that all the others who can sing would hang out their heads in shame. Lotus flowers, on which these beetles would be foraging, would show. What will they show? maRRu avan than nIL nedungaN kAttum niRam – They will show the colour of the long, expansive divine eyes of emperumAn. The lotus flower will show the colour of his eyes whose beauty is immeasurable. Did not nammAzhwAr too describe emperumAn’s divine eyes in his thiruviruththam 45 “perum kEzhalAr tham perungaN malarppuNdarIkam” by saying that emperumAn’s divine eyes are like lotus flowers! This entry was posted in iyaRpA, mUnRAm thiruvandhAdhi on April 23, 2018 by T N Krishnan. AzhwAr enjoys the deeds of kaNNapirAn (krishNa) which could be compared with the deed of emperumAn on the banyan lead. thALAl sagadam udhaiththu – killing the demon sagadAsuran with his divine feet. Kicking aside a wheel which came close to his divine feet. pagadundhi – pagadu – elephant. Killing the elephant kuvalayApIdam set on him by kamsa, by pushing it. He pushed hard at the elephant which came close to his hand. He kicked the wheel which came in his way, with his divine feet and pushed aside the elephant, as mentioned by thirumangai AzhwAr in periya thirumozhi 6-5-6 “puguvAy ninRa pOdhagam” (elephant which stood in his way of going towards kamsa) with his divine hands. kILA marudhidai pOy – finding a path between two arjuna trees which had intertwined closely without any gap. We can also construe it as krishNa going between the trees by splitting them. kEzhalAy mILAdhu – When he, who is greater than everyone else, takes a very lowly form of boar, should he not look like a boar? Thus, he felt like a boar. If he had thought of himself as the consort of thirumagaL (SrI mahAlakshmi) could he have carried out the activities of a boar? mILAdhu maNNagalam kINdu – we can construe the meaning as – digging out the earth such that it cannot be snatched away. angOr maNNagalam kINdu – he came out of deluge there, holding the expansive earth. mAdhu ugandha mArvaRku – emperumAn who has the divine chest much desired by periya pirAtti. peNNagalam kAdhal peridhu – his affection towards SrI bhUmippirAtti (SrI bhUdhEvi) was over-flooded. peNNagalam refers to the divine form of SrI bhUmippirAtti. Has bhUmippirAtti’s form not been described in siRIya thirumadal “kArAr varaikkongai kaNNar kadal udukkai” (bhumippirAtti has thiruvEngadam and thirumAlirunjOlai on which clouds take rest, as her bosom and the expansive ocean as her dress)! kAdhal peridhu – emperumAn’s infatuation with bhUmippirAtti is described here. emperumAn’s desire for those whom he likes is much larger than the desire which those who like him have for him. Did not emperumAn who has all his desires fulfilled, take out earth from the walls of the universe by taking the form of a boar! peNNagalam kAdhal peridhu – AzhwAr says “Is it not because of the affection that he has for bhUmippirAtti that he dug out the earth which she respects a lot (or earth which has bhUmippirAtti as the caretaking deity)?”. We will take up the 55th pAsuram next. This entry was posted in iyaRpA, mUnRAm thiruvandhAdhi on April 22, 2018 by T N Krishnan. AzhwAr enjoys the experience of emperumAn reclining on banyan leaf, just as he enjoyed the deed of vAmana in the previous pAsuram. He tells his heart that they should fall head over heels and experience such deeds when emperumAn’s characteristics are like these. He says that emperumAn is capable of uniting things which are incompatible. muyanRu thozhu nenjE – Oh heart, try to attain emperumAn with zeal instead of having the attitude of “if it comes, let it; I wouldn’t go after it”! Make an effort and attain him. Keep falling [in front of emperumAn] till your hands fracture. angOr maN nalam koL veLLaththu – in the deluge which tries to destroy the characteristics of earth. Earth is in the effect mode. maN nalam koL veLLam – the virtues of earth are: it is an implement for the enjoyment of chEthanas (sentient entities), it is the place for enjoying and it is the object of enjoyment. Such earth is destroyed during deluge. mAyak kuzhaviyAy – emperumAn is an infant with amazing activities. thaN alangal mAlaiyAn thAL – the divine feet of emperumAn who has the swaying garland which removes fatigue. muyanRu thozhu nenjE – when he kept all these objects [the worlds, oceans etc] inside his stomach, did he not carry out that task in such a way that his garland and other decorative ornaments were not disturbed even a little bit! The beauty with which he was lying on the banyan leaf with his garland! Was yaSOdhA present there to deck him up? Isn’t everything amazing! We will move on to the 54th pAsuram next. This entry was posted in iyaRpA, mUnRAm thiruvandhAdhi on April 21, 2018 by T N Krishnan.